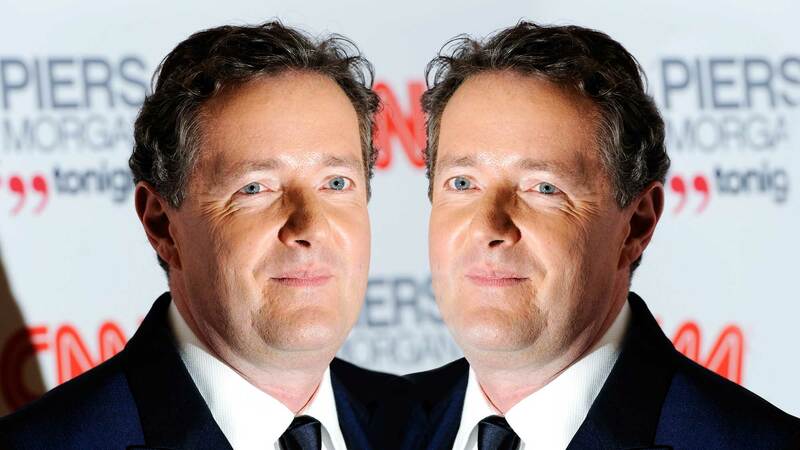 FOR THE last four years Piers Morgan has been desperately trying to distance himself from the phone hacking scandal. Twice he’s been interviewed under caution by detectives investigating phone hacking at the Daily Mirror when he was editor from 1995 to 2004. Between 2001 and 2009 he made a series of incriminating statements widely interpreted as evidence he knew all about the practice. Two of his protégés — Andy Coulson and Rebekah Brooks — have appeared in the dock at the Old Bailey. Coulson went to gaol: Brooks was acquitted. The evidence suggests the “dark arts” of illegal news-gathering — including phone hacking — were at the heart of Daily Mirror editorial policy when Morgan was editor. WHEN HE appeared on Desert Island Discs in 2009, Piers Morgan was challenged about phone hacking. Presenter Kirsty Young asked him about dealing with people who listened to phone messages. 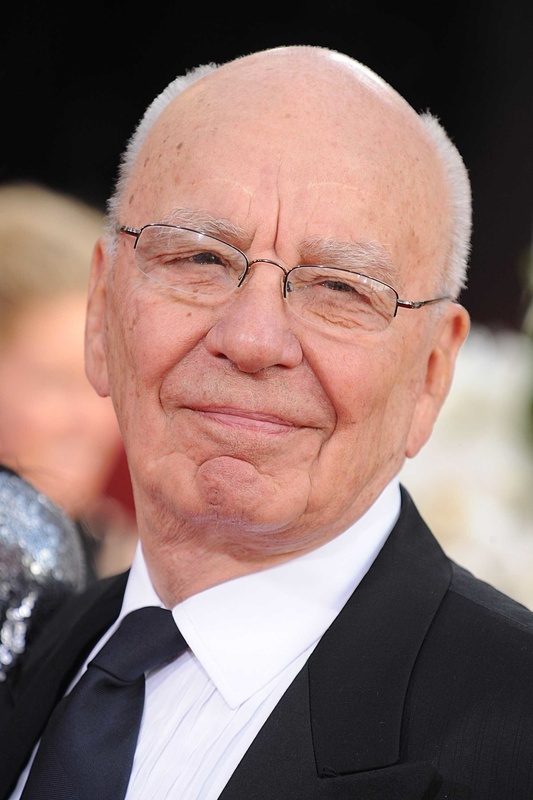 But after the revelation in July 2011 that Rupert Murdoch’s journalists had hacked murdered schoolgirl Milly Dowler’s mobile phone, he changed his tune. PIERS MORGAN and his friends Rebekah Brooks and Andy Coulson at the height of their power in the early 2000s. Morgan edited the Mirror, Brooks the Sun and Coulson the News of the World. All three tabloids were hacking phones at that stage. 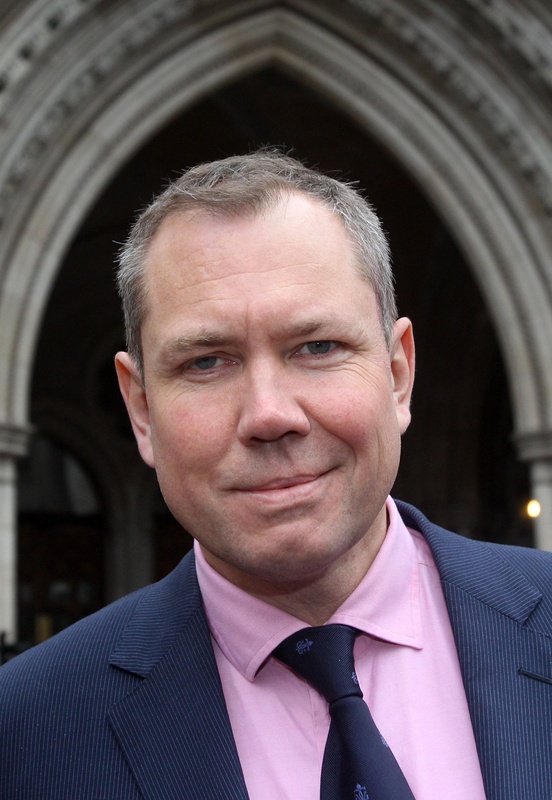 Coulson and Brooks — long-term on-off lovers — were tried at the Old Bailey in 2014; Brooks was acquitted but Coulson was gaoled for 18 months. 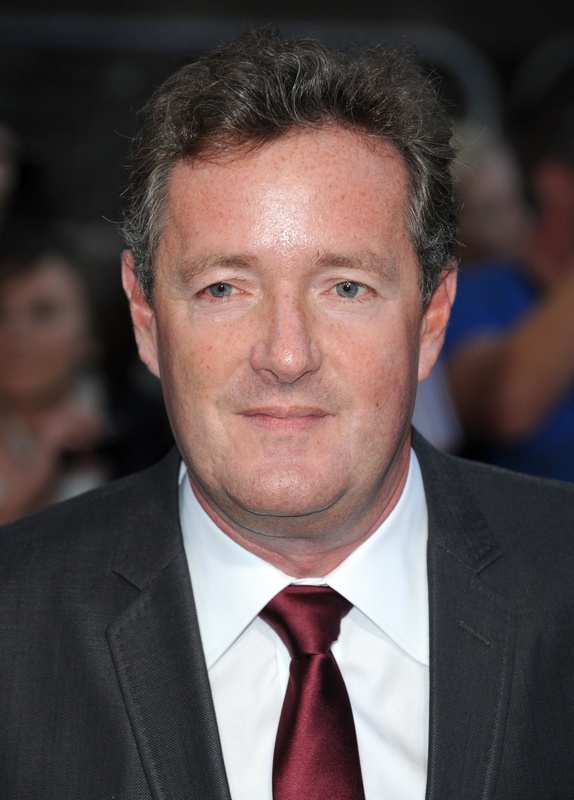 Piers Morgan was by far the most experienced of the three: he had been Coulson’s boss at the Sun’s show business column in the early 1990s and gave Rebekah Brooks her first big promotion while he was editor of the News of the World. But, in fact, the Daily Mirror had printed an article based on phone hacking more than a decade earlier. 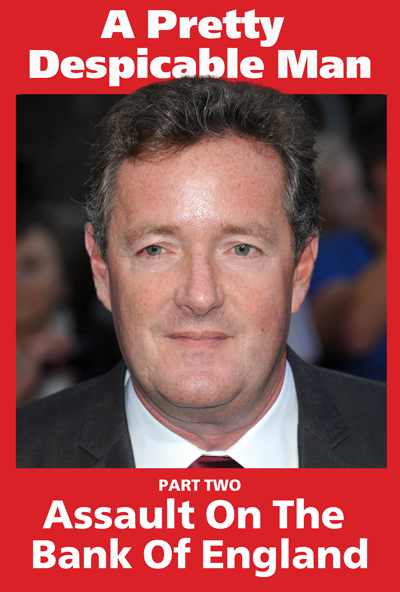 It was just as mobile phones were taking off — and Piers Morgan had been Daily Mirror editor for more than two years. 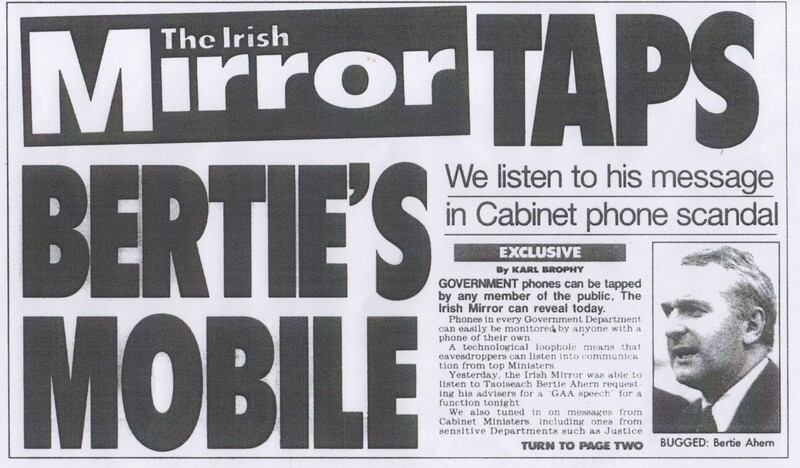 Early in 1998 one of the paper’s journalists in Dublin realised it was possible to access messages left on the mobile phones of senior Irish politicians. 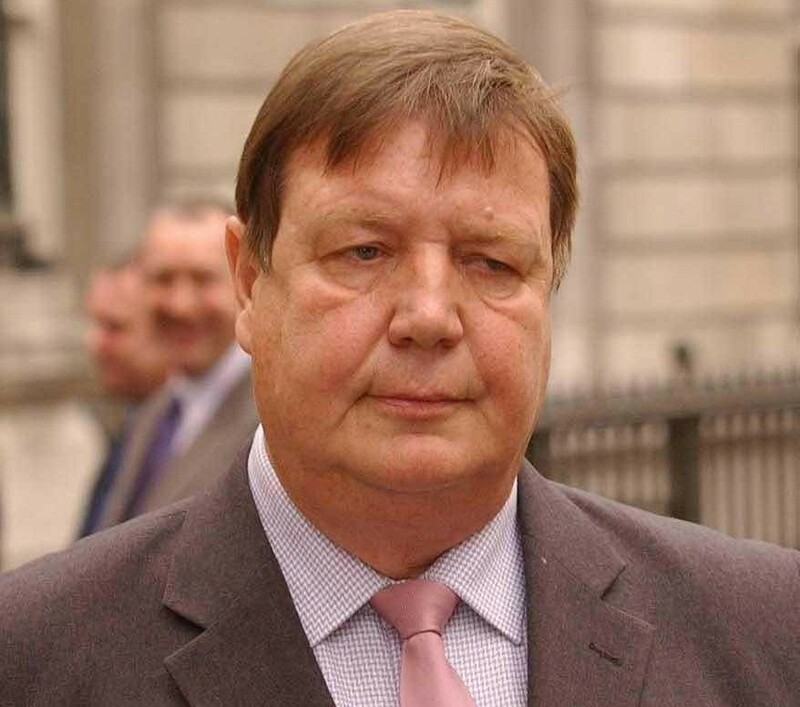 Reporter Karl Brophy — based at the Irish Parliament — proceeded to listen to messages left on the phone of the Irish leader, Taoiseach Bertie Ahern. He also successfully listened to messages left on the phones of other Cabinet ministers. The article explained that mobile phones were sold with a standard password for stored messages that most people never changed. The article was accompanied by an editorial. 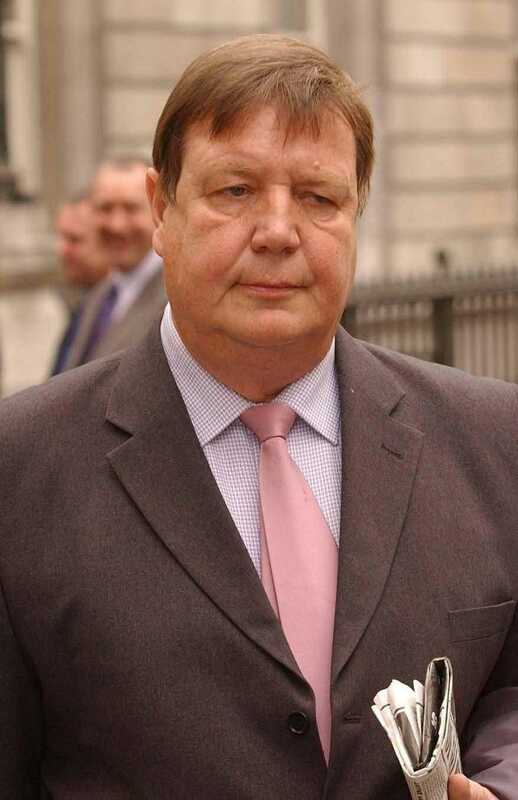 There was to be no phone hacking scandal in Ireland. NOT A word of the story appeared in the mainland editions of the Daily Mirror. This was despite the fact that several million people of Irish descent live in Britain — thousands of them Daily Mirror readers. And the implications of the story for the British political establishment were obvious. If British mobile phones were anything like their Irish counterparts, there was a potential security problem. There were also strong connections between the Irish edition and the paper’s headquarters in London’s Canary Wharf. The man in charge of the Irish Mirror was Craig Mackenzie, brother of Kelvin Mackenzie, Mirror Group deputy chief executive. Kelvin Mackenzie was editor of the Sun when Piers Morgan started on the paper in the late 1980s. Both Mackenzie brothers were friends of Morgan’s. Press Gang spoke to Karl Brophy last week. He said he wrote the story at a time when mobile phones were taking off. “When you got your phone in those days it clearly … told you to change your PIN immediately,” he said. 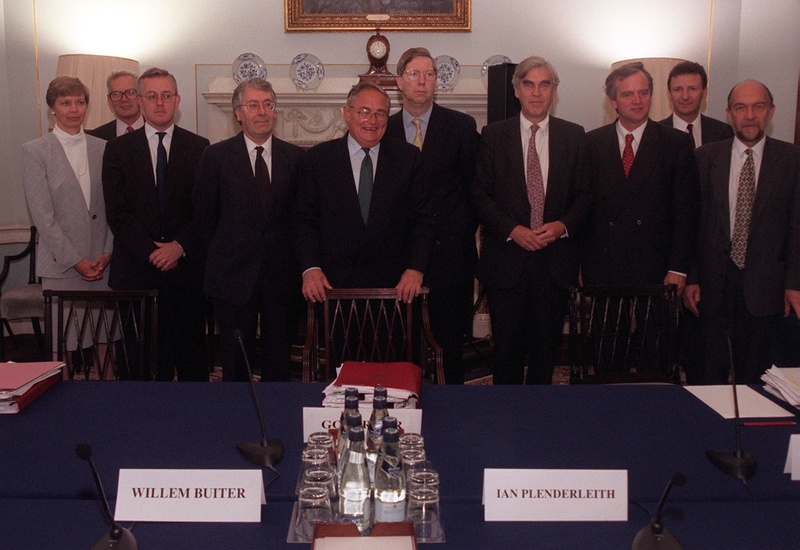 In fact, the historic Good Friday agreement had been signed a week earlier. All the ministers Brophy hacked immediately changed their PIN numbers after he told the government what he’d done. FIFTEEN MONTHS later the Daily Mirror in London were told about security problems with mobile phones. 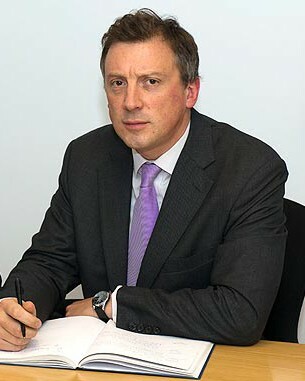 Welsh sales manager Steven Nott rang the paper in August 1999 about a flaw in Vodaphone’s system. He talked to Mirror special projects editor Oonagh Blackman. He told her that if people did not change the standard Vodaphone 3333 PIN number, anyone could dial in and listen to messages. Nott claims that, initially, Blackman was enthusiastic but after 12 days told him the paper wasn’t interested. But, in addition to the Irish Mirror story, there’s evidence the paper’s journalists were already deeply involved in the “dark arts” of illegal news-gathering, including phone hacking. 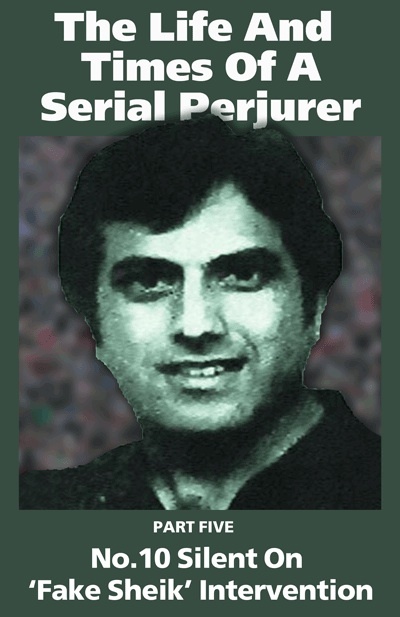 CENTRAL TO this operation was senior reporter Gary Jones and his dealings with a corrupt firm of private detectives. 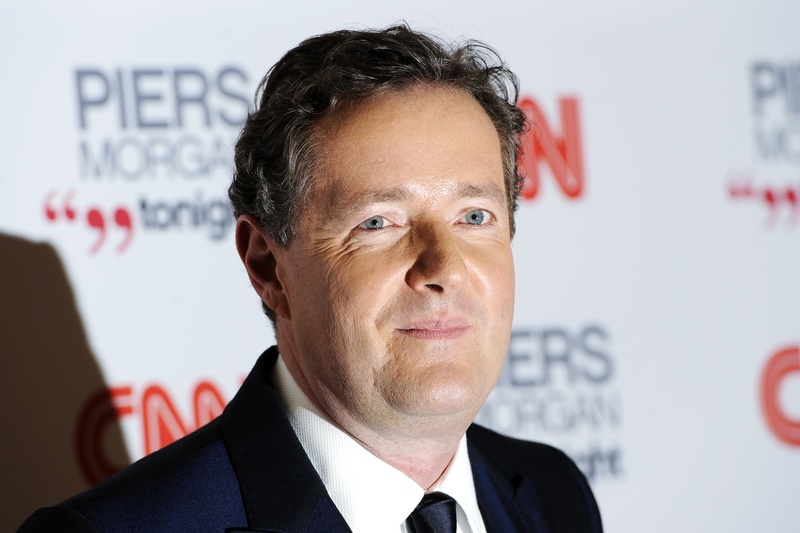 Jones had been News of the World crime reporter when Piers Morgan edited the Sunday tabloid in 1994-1995. Jones won the Press Gazette Reporter of the Year award in 1995 for his scoops. One of the most dramatic was a story about anonymous calls being made by Princess Diana. This was also one of the key stories in Piers Morgan’s career — it impressed Rupert Murdoch who liked big, international controversies. Especially if it also involved an attack on the British establishment he despised. A KEY LIEUTENANT throughout Piers Morgan’s editorship, Jones was the Mirror mastermind when it came to illegal news-gathering. He’d been the News of the World crime reporter when Piers Morgan edited the Sunday paper in 1994-1995. Jones — who has featured in many Press Gang articles — does not answer our emails. This worldwide exclusive was based on a leaked investigation report from Scotland Yard. Press Gang — in the article Whodunnit? — revealed Piers Morgan almost certainly authorised an enormous payment to a recently retired senior police officer for access to the report. The sum is believed to have been in the hundreds of thousands of pounds. Piers Morgan was appointed Daily Mirror editor in 1995 and Gary Jones joined him the following year. Documentary evidence shows that by October 1997 Gary Jones was responsible for organising much of the paper’s clandestine operations. Jones was using the controversial detective agency Southern Investigations to illegally access information. The agency had also been working for the News of the World from the late 1980s — including the period Piers Morgan was editor. The firm was run by private eye Jonathan Rees. Rees had been a suspect in the murder of his partner Daniel Morgan in 1987. THE PRIVATE eye Jonathan Rees who provided the Daily Mirror with a hoard of confidential information, much of it obtained from bent police officers. He later stood trial for the murder of his partner Daniel Morgan but the case collapsed in 2011. 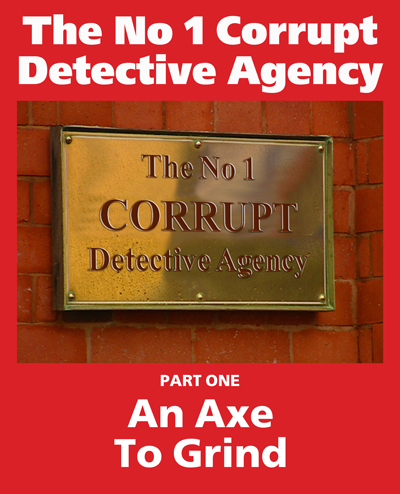 A fuller account of his activities can be found in the Press Gang series The No 1 Corrupt Detective Agency. 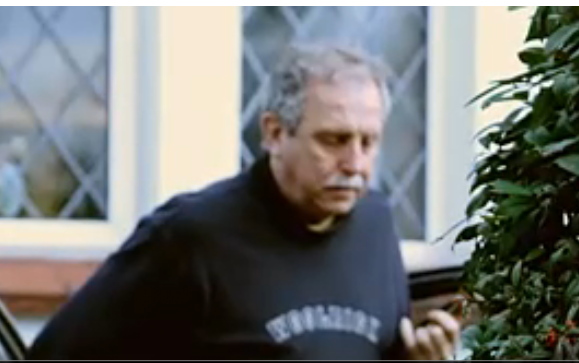 Daniel Morgan’s place as Rees’ partner was taken by former Scotland Yard detective sergeant Sid Fillery. Fillery had been part of the homicide team investigating the murder until his superiors realised he was a friend of Rees. Southern Investigations provided Gary Jones and the Mirror with one scoop after another. The evidence comes from a secret operation — Two Bridges — mounted by anti-corruption detectives at Scotland Yard. They bugged the offices of Southern Investigations and, in September 1999, raided the firm and many of its network of informants. 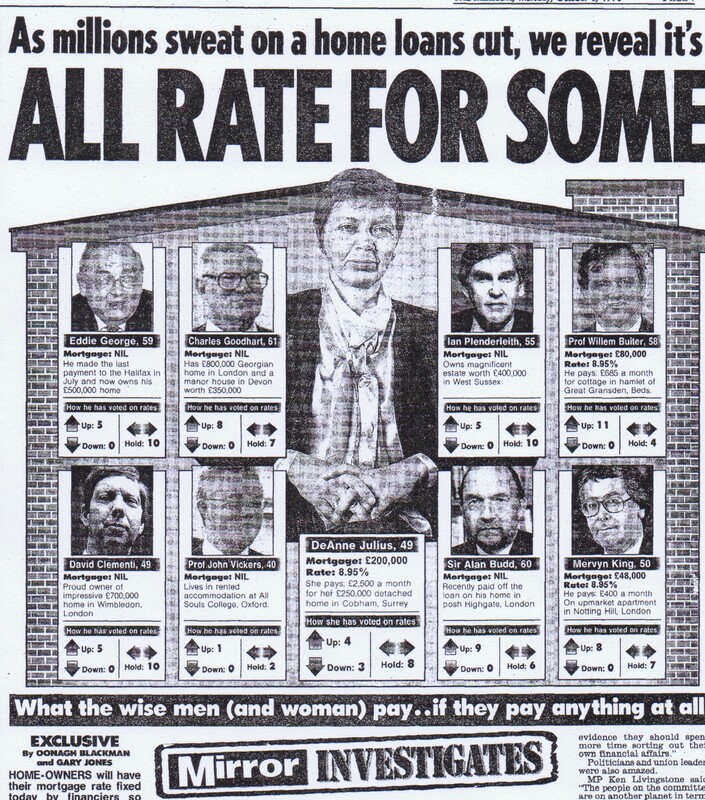 — in October 1998 Gary Jones and Oonagh Blackman published an article revealing the confidential mortgage details of members of the committee which set interest rates. In our article Assault On The Bank Of England we showed that Southern Investigations had illegally “blagged” the information from banks and building societies. The firm sent one set of doctored invoices to the Daily Mirror accounts department but Press Gang obtained a confidential statement sent to Gary Jones marked “For Your Information Only” which reveals the true nature of the operation. Invoices generated by Southern Investigations were usually heavily disguised. “Confidential enquiries” was the phrase used to cover up illegal activity ordered by Gary Jones on behalf of the Mirror. Four of these invoices include parts of telephone numbers. The first was in October 1997 — long before the Irish Mirror published its piece. Southern Investigations was billing Jones for “confidential enquiries” relating to a telephone number showing just the dialling code 01480 (Huntingdon). In 1998 there were three more invoices — again with only part of the number given. The sums involved — around £300 each — suggest these “confidential enquiries” involved print-outs of calls made from the numbers. Southern Investigations had people inside phone companies who made copies of itemised phone calls. Just how corrupt the relationship between Gary Jones and Jonathan Rees actually was is shown by a dramatic row which took place in July 1999. IT’S TUESDAY, 6 July 1999 at the offices of Southern Investigations in Thornton Heath, South London. Some of his work is legitimate routine bread and butter stuff like serving writs and tracing people. But increasingly his time is taken up with obtaining confidential information and selling it to newspapers like the News of the World and the Mirror Group. Unknown to him, every word he says today will be recorded. A bug has been planted in the building by anti-corruption detectives from Scotland Yard as part of Operation Two Bridges. Two Bridges has two aims. One is to generate information about the murder of Daniel Morgan in 1987. The second is part of an attempt to prevent Southern Investigations from corrupting police officers. An internal Scotland Yard document — later leaked to the BBC Home Affairs correspondent Graeme McLagan — spelt out the concerns. 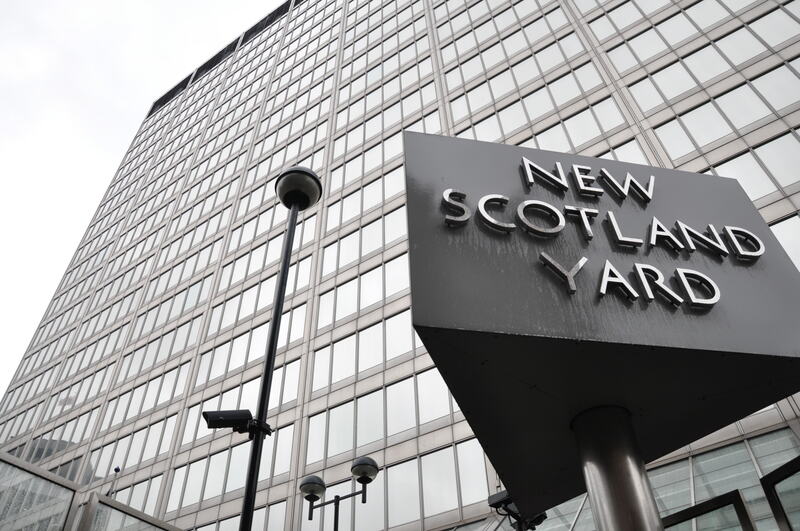 A CHARGE against former Scotland Yard detective Sid Fillery — perverting the course of justice in connection with the murder of Daniel Morgan— was dropped in 2010. By then, though, Fillery already had a criminal record — he was convicted of making and possessing indecent images of children in 2003. He now helps run the Lion public house in the village of Thurne in the Norfolk Broads. But on that Tuesday — 6 July 1999 — Rees is oblivious to the fact that his office is bugged. When he rings Gary Jones at the Daily Mirror to discuss invoices, he believes the conversation is private. Rees says he’s faxing through a full list of invoices for the work done for the Mirror Group (including the Mirror, People and the Sunday Mirror) that year. The total is £16,991 for the five months. The list includes nearly £6,000 for the illegal supply of itemised print-outs of calls made from phones. Later that day Rees and Jones have another discussion about the lack of detail on the invoices relating to these print-outs. Jones is under pressure from the paper’s accounts department to provide more information on the Southern Investigations invoices. When this conversation takes place, Gary Jones is sitting at his desk in the Daily Mirror newsroom on the 22nd floor of the skyscraper at Canary Wharf. A few yards away is the editor’s corner office. Can Piers Morgan have known absolutely nothing about Gary Jones’ illegal activities? OPERATION TWO BRIDGES comes to an abrupt end in September 1999. The bug in Southern Investigations reveals Rees has a client fighting his estranged wife for custody of their child. Rees agrees to organise a conspiracy with a corrupt police officer to plant cocaine in the wife’s car. The plan is to saddle her with a drugs conviction — so proving her to be an unfit mother. The police pounce on the conspirators. Rees and the client are given seven year prison sentences. The corrupt police officer is gaoled for five. Sid Fillery is not involved. When police closed in on the conspiracy, they also arrested many of those suspected of being involved in illegal news-gathering. One of them was Doug Kempster, a reporter with the Sunday Mirror, part of the Mirror group. Police submitted a file to the Crown Prosecution Service which decided not to charge the reporter. 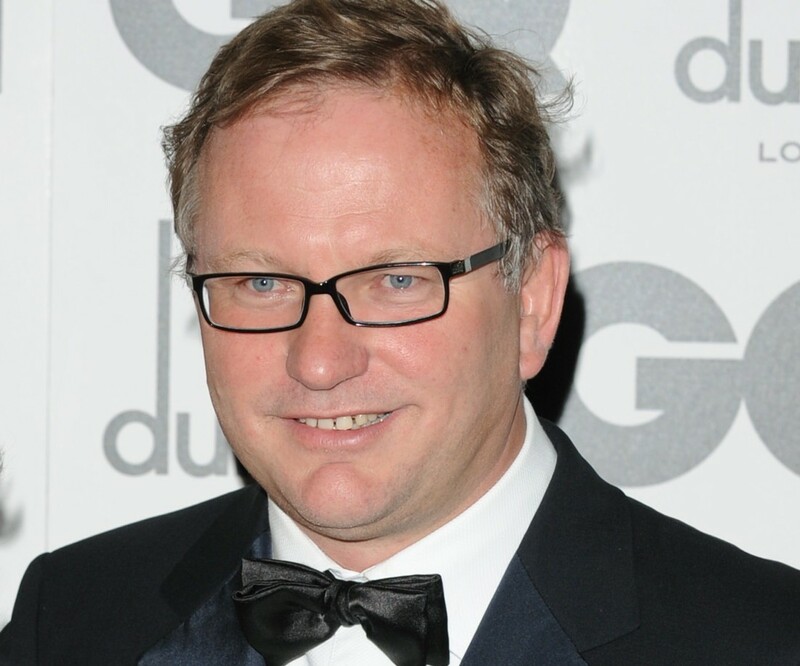 Kempster’s arrest sent shock waves around senior management at the Mirror Group. But it did not stop illegal news-gathering at Piers Morgan’s Daily Mirror. With Jonathan Rees in gaol, the paper turned to another private eye — Steve Whittamore. By the time he was arrested for breaches of the Data Protection Act in 2003, the paper had spent at least £92,000 with the private eye. In our article Whodunnit? we exclusively revealed that one of the Mirror reporters who apparently commissioned work from Whittamore was Tom Newton Dunn. THE CURRENT political editor of The Sun, Tom Newton Dunn was a young Mirror reporter when he allegedly ordered an unlawful criminal record check. Today, he’s the political editor of The Sun. In the early 2000s Dunn’s name was recorded by Whittamore as the Mirror contact for a criminal record check of a parliamentary candidate. This was Adrian Flook, who later became Tory MP for Taunton. Newton Dunn does not answer our emails. IS IT possible Piers Morgan didn’t know what was going on at the Mirror when he was editor? During the Leveson Inquiry journalist James Hipwell gave evidence about phone hacking when he worked at the paper between 1998 and 2000. Hipwell was a financial journalist and worked close to the paper’s showbiz reporters. He said they hacked openly and frequently. When he gave evidence, Morgan was contemptuous of Hipwell. Hipwell had been gaoled for six months for insider dealing in 2000 while working for the paper’s City Slickers column. He bought shares in a company owned by Alan Sugar before they were tipped by the column. The shares rocketed in value the next day. Piers Morgan also bought shares but always insisted he didn’t know they were going to be the subject of a Mirror article. Leveson also questioned Piers Morgan about his comment after the 2007 gaoling of News of the World royal correspondent Clive Goodman for hacking royal phones. Morgan had been Goodman’s editor at the News of the World in 1994-1995. Morgan told Leveson he was talking about the “rumour mill” at the time — and that phone hacking wasn’t happening at the Daily Mirror. MORE AND more evidence is emerging about the “dark arts” at the Daily Mirror. So far Operation Golding, the Scotland Yard operation into phone hacking at the Mirror Group, has seen 15 journalists — including Piers Morgan — questioned under caution. Scores of civil claims are also generating large amounts of information. In May Mr Justice Mann ordered the Mirror group to pay eight victims a massive £1.2 million in damages. Six were victims of the Daily Mirror during Piers Morgan’s tenure — including the actress Sadie Frost and the footballer Paul Gascoigne. 1 Many of the examples where Piers Morgan is alleged to have made statements indicating he knew about phone hacking have been left out of this article. They are all well known and including them would have made the piece too long. 2 There are reporting restrictions in the recent civil case against the Mirror group. Mr Justice Mann ordered the names of several journalists should be redacted — apparently because they are the subject of active police inquiries. 3 A more detailed analysis of Mr Justice Mann’s decision will be included in a planned article — The Mirror: Crack’d From Side To Side — about the group’s disastrous management of the scandal. ON MAY 21 Mr Justice Mann delivered a damning verdict on the Mirror group. He found that its newspapers — the Daily Mirror, Sunday Mirror and the People — had engaged in phone hacking and other illegal news-gathering on a massive scale. 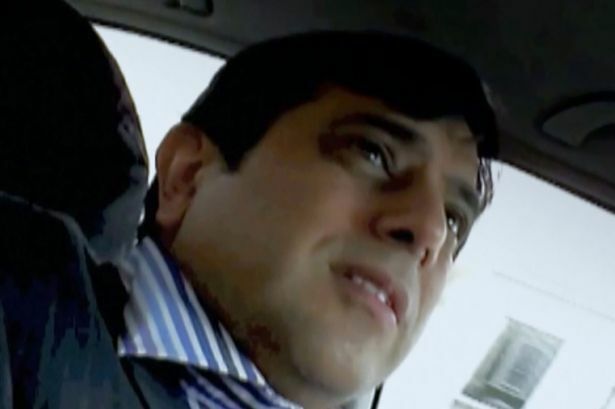 In a test case at the High Court, he ordered the company to pay £1.2 million in damages to just eight victims. Six of these — including the footballer Paul Gascoigne, BBC executive Alan Yentob and the actress Sadie Frost — were also hacked by reporters working for Piers Morgan during his 1995-2004 tenure as Daily Mirror editor. Many more cases are in the pipeline. Morgan himself has been interviewed under caution by detectives as part of Operation Golding, the Scotland Yard inquiry into phone hacking at the group. Press Gang continues its investigation of the former tabloid editor with a revealing tale of the Daily Mirror’s intrusion into the private life of television newsreader Kirsty Young. 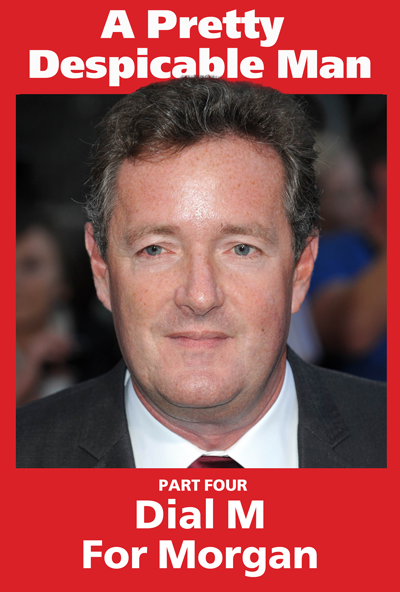 IN 2009 Piers Morgan was put on the spot about his knowledge of the “dark arts” — including phone hacking — at the Mirror. He was a guest on the BBC Desert Island Discs programme in June that year. “And what about this nice middle-class boy who would have to be dealing with, I mean, essentially people who rake through people’s bins for a living? THE SCOTTISH journalist’s interview with Piers Morgan on Desert Island Discs in 2009 has proved a serious embarrassment for the former Daily Mirror editor. These comments echoed his views when News of the World royal correspondent Clive Goodman was gaoled for hacking royal phones in 2007. But he suddenly changed his tune after the revelation, in July 2011, that murdered schoolgirl Milly Dowler’s phone had been hacked. When the U.S. Daily Beast website resurrected his Desert Island Discs comments, Morgan was emphatic. 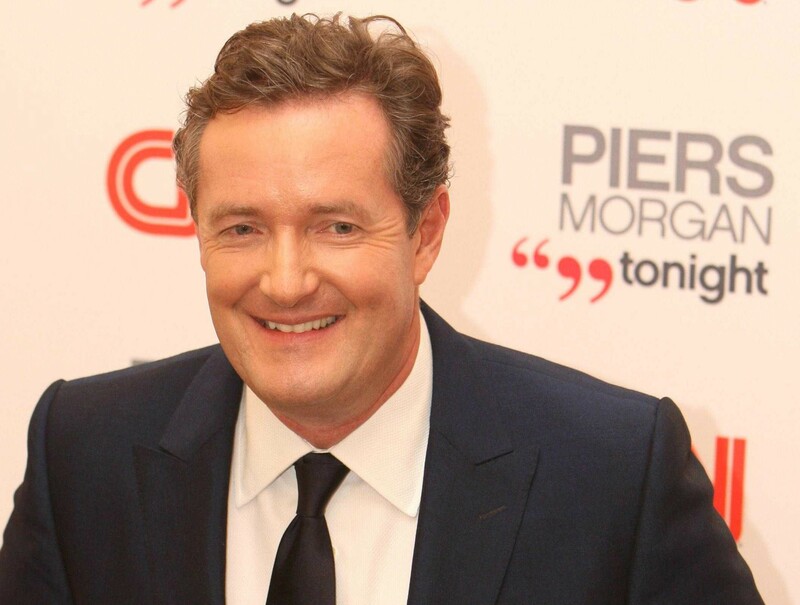 AS SOON as it became clear that the phone hacking scandal was going to see journalists gaoled, Piers Morgan has been struggling to distance himself from earlier statements suggesting he knew all about the practice. But when Piers Morgan appeared on the programme, there was one thing he didn’t tell Kirsty Young. It was that Young herself been the target of “down-in-the-gutter” tactics by Piers Morgan’s Mirror. THE TALE begins in September 1998. On the 5th, the Mirror exclusively revealed the presenter had split up with Scottish rugby star Kenny Logan. A week later, the Mirror found out that Young had spent the night with Nick Jones, the millionaire owner of the Soho House club. At the time Jones had just separated from his wife. But, for reasons that have never been explained, the paper did not splash the story at that point. 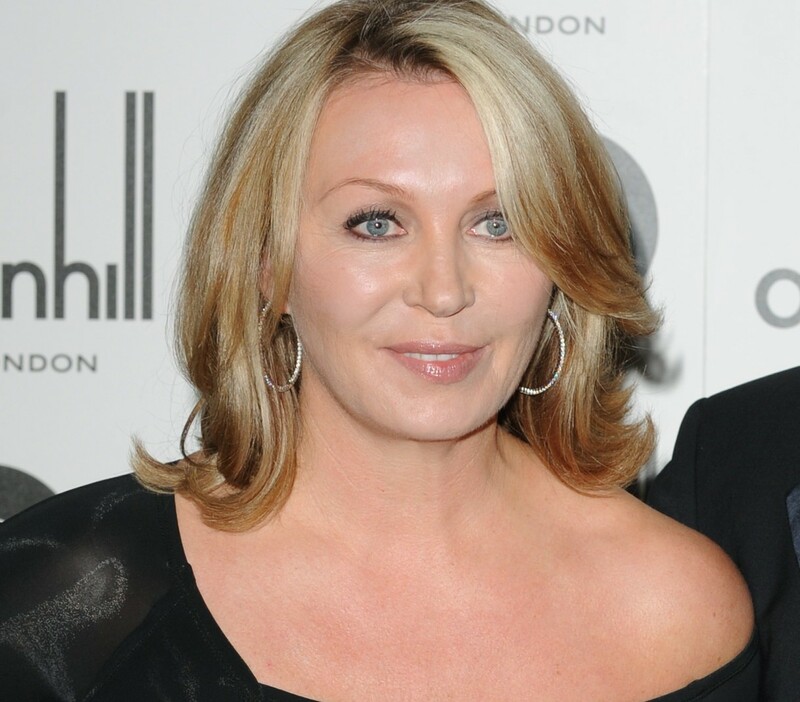 THE ENTREPRENEUR who founded the Soho House group, Jones had just separated from his wife Tania when he met Kirsty Young. The new couple — who are now married — were targeted by Piers Morgan’s Daily Mirror when their relationship began in 1998. Instead, senior Mirror journalist Gary Jones asked a private eye to organise a surveillance operation. 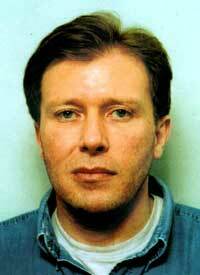 This was Jonathan Rees, a partner in the Southern Investigations detective agency. Rees had been a suspect in the murder of his former partner Daniel Morgan in 1987. On September 16, one of Rees’ “agents” used a motorbike to keep tabs on her movements. He spent three hours and travelled 35 miles. The next day, it was for just under three hours, clocking up 25 miles. On September 18, it was exactly the same. Rees charged the paper £260.25. Again, the Mirror didn’t publish. Again, the reasons why it hesitated have never been made clear. On September 22 Young was once again under observation — but not by Rees and his team. THE CONTROVERSIAL private eye was an important cog in the Daily Mirror’s illegal news-gathering operation. Rees had been a suspect in the 1987 murder of his partner Daniel Morgan and was later convicted of conspiracy to plant cocaine on an innocent woman. He was given a seven year prison sentence. It seems the paper’s own reporters, convinced Young and Jones were an item, were now mounting their own surveillance operation. On September 22 Young was followed from the studios where she’d just finished presenting the Channel 5 News. She left the building at 7pm and was tailed to her flat in Kensington. Nick Jones turned up and, an hour later, the pair were photographed at a local restuarant. They were still being watched the next morning when they had breakfast in a cafe. The couple then travelled to Somerset to stay in the Babbington House country club near Frome, also owned by Jones’ company. After an overnight stay, Young caught the London train in time to read that evening’s Channel 5 News. But it took another week before the Daily Mirror exclusively revealed — in a double page spread on September 30 — that the couple were an item. The piece was written by Lucy Rock and Oonagh Blackman. GARY JONES — today he’s executive editor of the Sunday Mirror — was one of the key figures in the illegal news-gathering activities at the Daily Mirror. A former crime reporter on the News of the World when Piers Morgan was editor in 1994-199, he moved to the Mirror in 1996. So why did it take the Mirror so long to make its dramatic revelation? The paper sat on the information for at least a week — and possibly a fortnight. The story was tabloid dynamite and every day the Mirror risked being scooped by one of its rivals. Surveillance has never been illegal and — at that time — listening to phone messages was not unlawful. But paying someone to blag confidential details of phone numbers and PIN codes was a criminal offence. Was this the original source of the story — and the paper was desperate to find alternative sources for the story? Former Daily Mirror reporter James Hipwell claims that, by mid-1999, phone hacking was “rife” and “endemic” at the paper, especially on its showbiz desk. Even though Hipwell was gaoled for insider dealing at the paper in 2000, his testimony was considered reliable by Lord Leveson — and by Mr Justice Mann in last month’s civil case. WE ASKED all those involved in the Kirsty Young story to comment. Gary Jones, the senior journalist who asked Jonathan Rees to carry out the surveillance operation, didn’t reply. He’s been named in several Press Gang articles but doesn’t answer our emails. THE FORMER Daily Mirror financial reporter claims that phone hacking started at the paper in mid-1999. Although he was gaoled for insider dealing at the Daily Mirror, judges — including Lord Leveson and Mr Justice Mann — have believed his testimony. We have not been able to contact Oonagh Blackman, one of the reporters who wrote the exposé of Kirsty Young and Nick Jones’ relationship. We emailed the other by-lined journalist, Lucy Rock — now news editor at The Observer. We were unable to reach Piers Morgan. He’s never answered any of our emails. We left a message with Nick Jones, Kirsty Young’s husband, at Soho House. He didn’t come back to us. 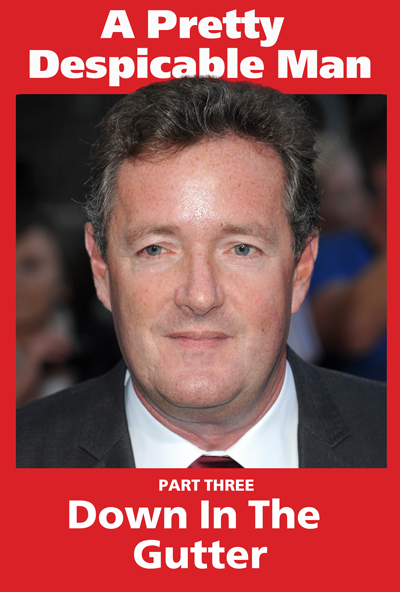 IN 2005 Piers Morgan published his best-selling memoirs, The Insider. It’s an account of his years as editor of the News of the World (1994-1995) and Daily Mirror (1995-2004). There’s not a word about the “dark arts” practiced at the Daily Mirror. 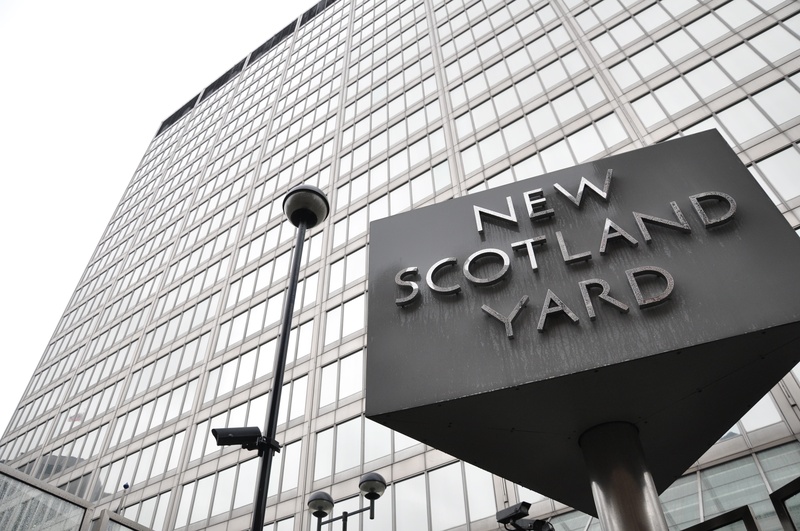 In the late 1990s anti-corruption detectives at Scotland Yard launched Operation Two Bridges against Jonathan Rees and his Southern Investigations private detective agency. They wanted information about Rees’ attempts to corrupt serving police officers — and about his alleged involvement in the 1987 murder of his partner Daniel Morgan. Invoices seized from Southern Investigations during Operation Two Bridges show the firm was a key element in Piers Morgan’s editorial strategy. In August 2011 BBC economics editor Robert Peston obtained a set of these invoices. He revealed that, between October 1997 and September 1999, the Mirror group used Jonathan Rees on 230 occasions. Peston calculated that the Daily and Sunday Mirror paid Rees just under £67,000. Many of these were simple “fishing expeditions” — finding out about famous people’s financial affairs. Often the information was not newsworthy — and nothing appeared in the Daily Mirror. Press Gang has also obtained a set of these invoices. 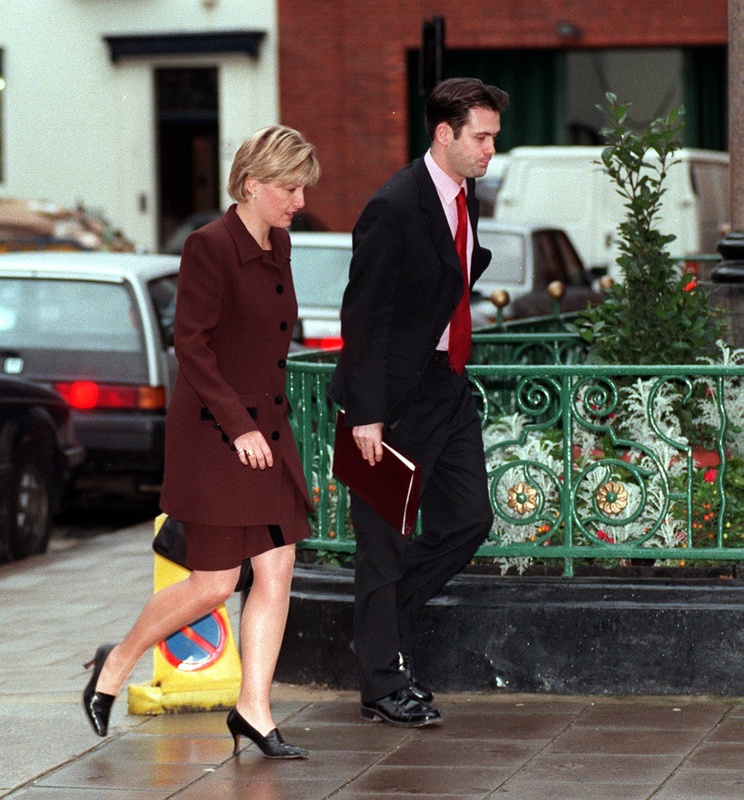 20 May 1998 The Mirror’s Gary Jones ordered “confidential enquiries” on “Emma Noble”, then girlfriend of former Prime Minister John Major’s son. No private information appeared in the paper. Cost: £282. 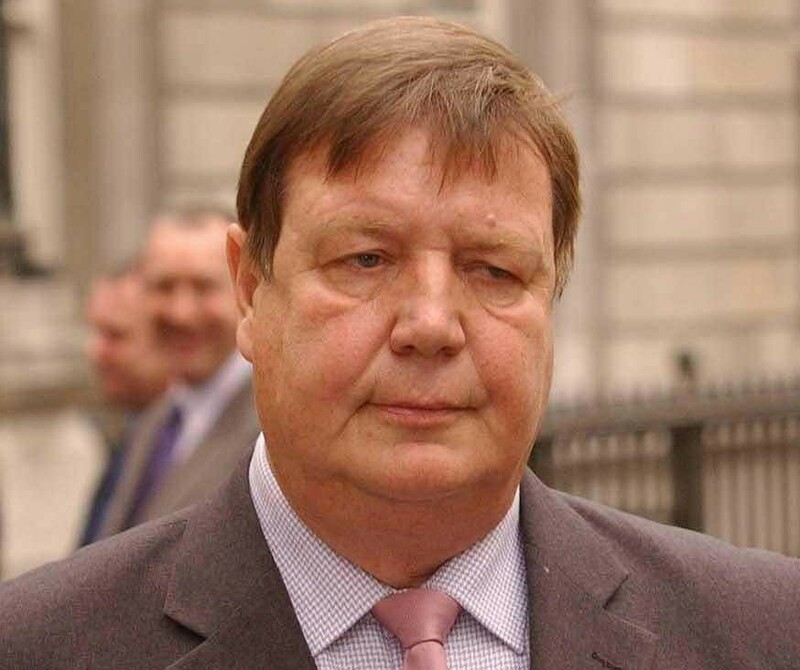 13 July 1998 In another fishing expedition, Gary Jones asked Jonathan Rees to obtain “bankers details” on No 10 advisor Roger Liddle and lobbyist Derek Draper. 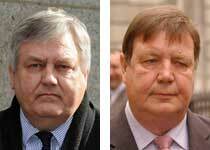 The two men were suspected of selling access to Labour ministers. The cost — £662.47. 21 Sept 1998 Arthur Scargill’s wife, Dr Margaret Scargill, was the target. 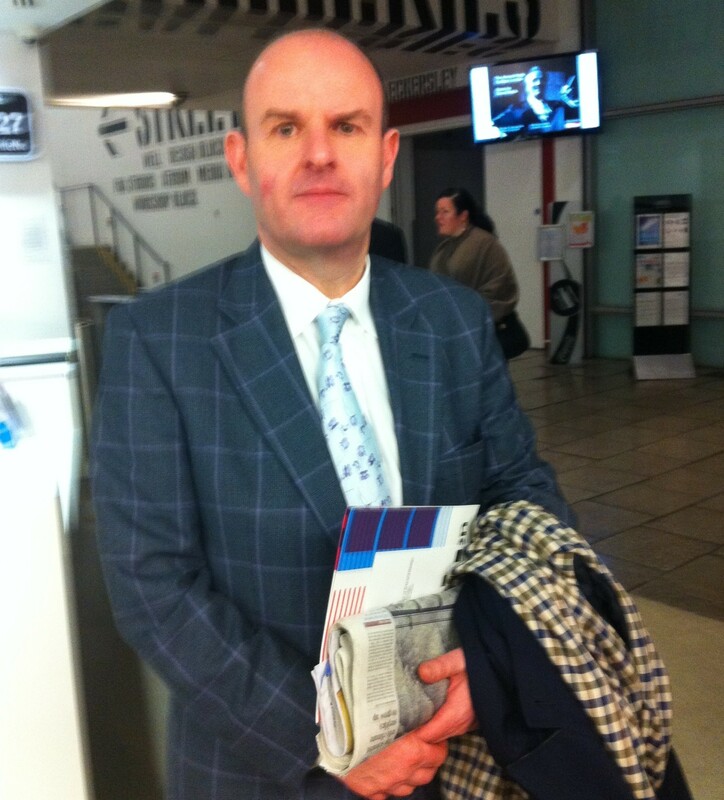 Gary Jones spent £403.37 on “bankers details”. Nothing appeared in the paper. THE FORMER captain of the England rugby team, Carling was blagged by the Daily Mirror in 1998. The paper published details of his bank account and mortgage. 6 Oct 1998 The paper paid Jonathan Rees £677.97 to dig out personal information on Will Carling. The former England rugby international was in the news because he’d left his wife. 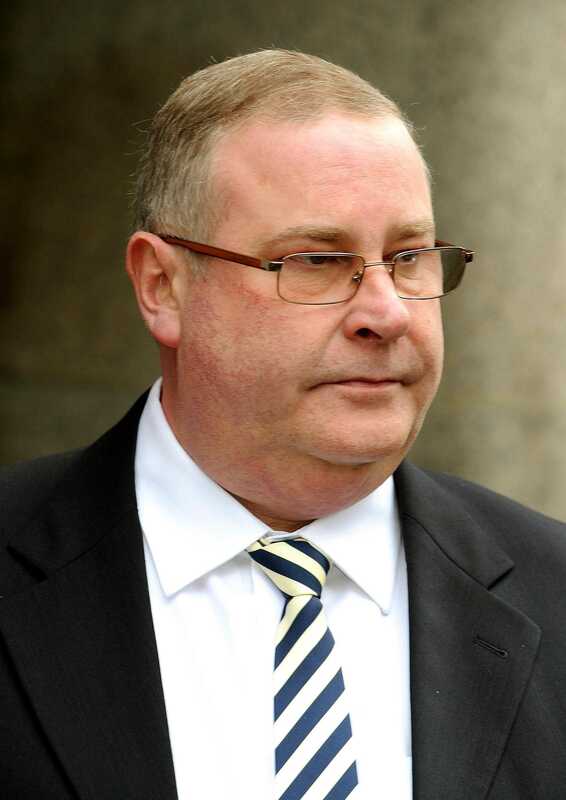 Gary Jones ordered the search for “Financial / Company Information” which was extracted from “RBS, Abbey National”. The bill was £677.97. This time personal information was published. In a long piece written by Gary Jones, Colin Price and Oonagh Blackman on October 7, two quotes stand out. One says: “Last month Carling took £5,000 in salary from the business to pay his mortgage.” One of his companies — Inspirational Horizons — “has just £1,500 in its account”. This could have come from his RBS bank account. The second states: “The star, who has a £400,000 mortgage on the five bedroom property, needs to find more than £2,800 a month in repayments.” Did this come from his Abbey National mortgage? 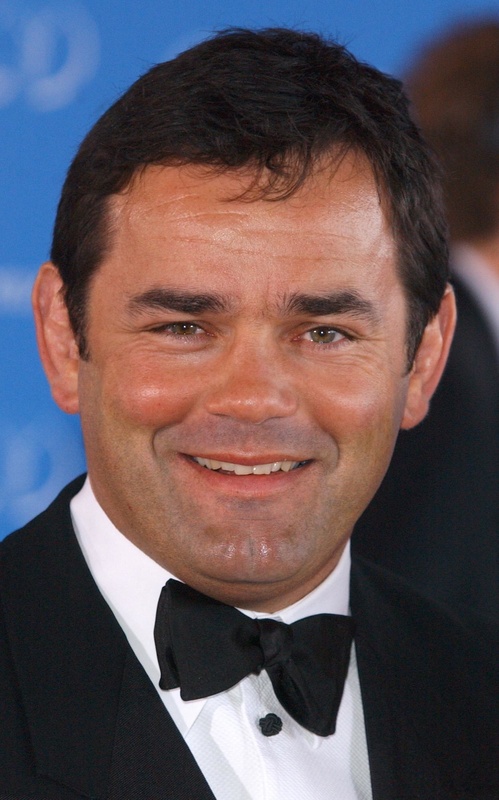 Will Carling told us he did not want to comment. 19 Oct 1998 Jonathan Rees sent Gary Jones two bills relating to an investigation of the business affairs of TV presenter Anthea Turner’s then boyfriend Grant Bovey. Turner had left her husband the previous January and moved in with Bovey. The first invoice, for £500, was for “confidential enquiries” about Bovey and his wife. The second — “undertaking detailed financial searches” into Bovey — was worth £569. The total was £1,069. A double page spread had appeared on Bovey’s affairs four days earlier. The piece — written by Gary Jones, Matthew Wright and Oonagh Blackman— stated Bovey’s bankers were “calling for crisis talks to discuss his personal problems.” “They have told him to stop issuing cheques after running up an overdraft of nearly £16,000.” This information could have been blagged from Bovey’s bank. THE LABOUR minister was another victim of the Daily Mirror. He resigned as Trade Secretary in December 1998 after it was revealed he’d failed to declare a £378,000 personal loan from fellow minister Geoffrey Robinson. The day before his resignation the Mirror’s Gary Jones asked Jonathan Rees to blag details of the Trade Minister’s bank and mortgage accounts. 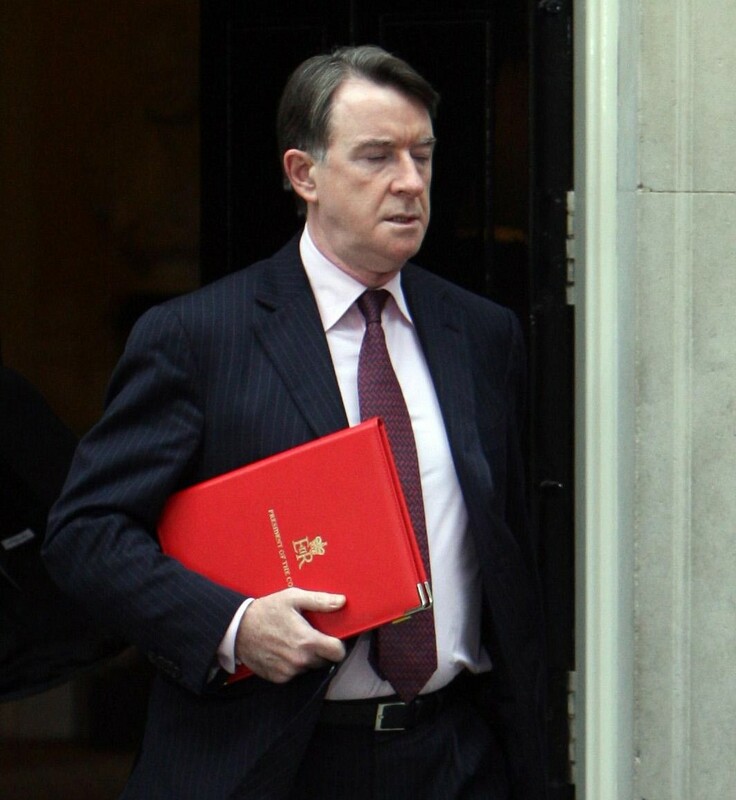 The Mirror revealed Mandelson had £50,000 in a Coutts account — and that his £150,000 mortgage with the Britannia Building Society cost £1,000 a month. According to the BBC’s Robert Peston, the Mandelson operation cost the Mirror £1,116. 4 Jan 1999 Gary Jones paid Jonathan Rees £499.37 to find information about Alistair Campbell, Prime Minister Tony Blair’s press secretary. No personal financial details appeared in the Mirror. The cost was £499.37. 15 Mar 1999 The Mirror pays £264.37 for information about Mick Jagger — no confidential material appeared in the paper. ALL OF these individuals have grounds for suing the Daily Mirror. Their chances of success have been strengthened by last month’s verdict in the eight “sample” cases heard by Mr Justice Mann. The judge ruled that, even for those whose confidential details were never published in the newspaper, damages can be awarded. His judgment also reveals the extraordinary scale of illegal newsgathering — the “dark arts” — at the Mirror and its stablemates. Up to now, for example, Press Gang has only been aware of two private eyes who were used by the papers. They are Jonathan Rees of Southern Investigations in the years up to 1999 and Steve Whittamore in the early 2000s. The BBC revealed that the Daily and Sunday Mirror spent £67,000 with Southern Investigations between 1997 and 1999. 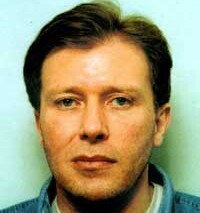 An analysis by ITV News showed that the Daily Mirror paid Steve Whittamore at least £92,000 up until his arrest in March 2003. That makes a total of £159,000. But the Mann verdict reveals this was just the tip of the iceberg. In other words, illegal news-gathering — including but not limited to phone hacking — was taking place on a colossal scale at the group. 1 There are reporting restrictions in the recent civil case against the Mirror group. Mr Justice Mann has ordered the names of several journalists should be redacted — apparently because they are the subject of active police inquiries. 2 A more detailed analysis of Mr Justice Mann’s decision will be included in a planned article — The Mirror: Crack’d From Side To Side — about the group’s disastrous management of the scandal. 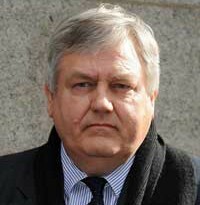 IN MAY 2013 Home Secretary Theresa May announced a judge-led inquiry into the murder of private detective Daniel Morgan. Her decision came two years after the prosecution of five suspects collapsed at the Old Bailey. Five separate police investigations had failed to bring the killers to book. This article — the first in The No 1 Corrupt Detective Agency series — lays bare the extraordinary sequence of events that lies behind that statement. It reads like pulp fiction. THE STORY starts in the car-park of a pub in south London in 1987. 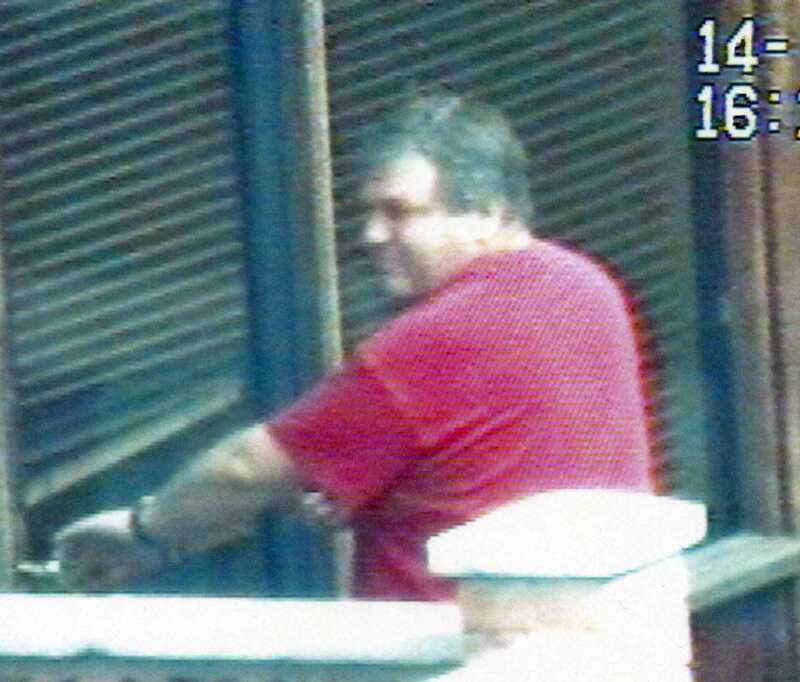 Private detective Daniel Morgan leaves the Golden Lion in Sydenham and is walking to his car. It’s just after nine o’clock in the evening. 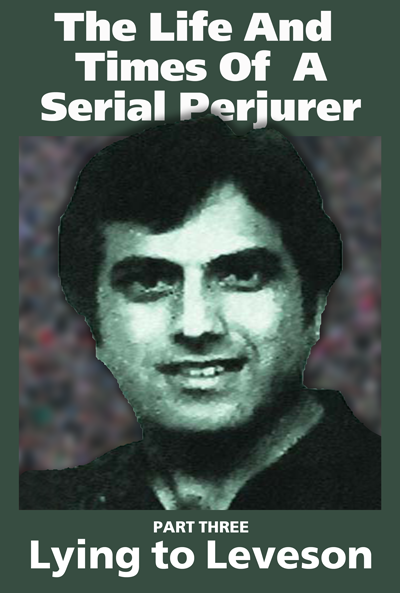 SCOTLAND YARD’S failure to bring the killer of the 34-year-old to justice remains an enduring stain on its reputation..
He’s carrying crisps for his young children. 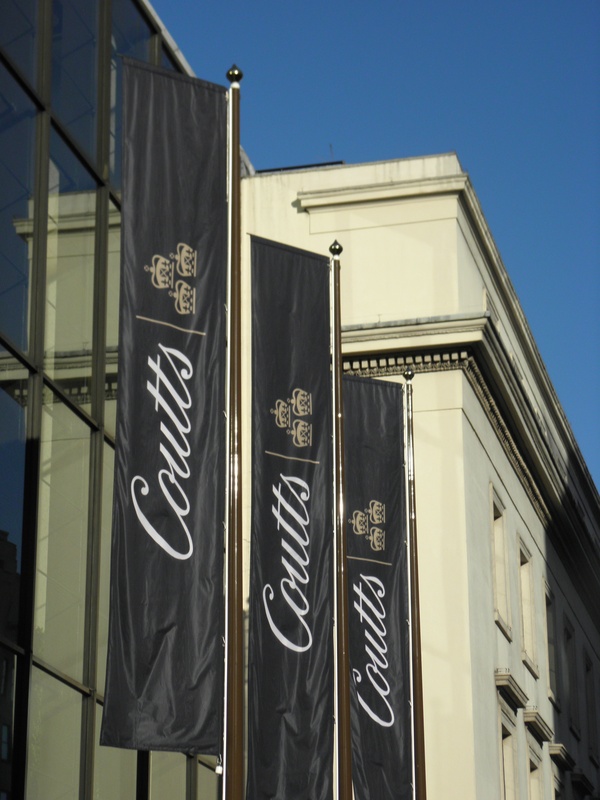 A meeting with Jonathan Rees — his partner in the private detective agency Southern Investigations — has just ended. In the weeks before this meeting, the two men have been arguing about a security operation that went wrong. Rees arranged to handle the security for a car auction business only to be robbed of more than £18,000 in cash. The owners of the car auction are not satisfied with Rees’ explanation — that he was mugged — and start legal proceedings to recover their money. Southern Investigations does not have insurance to carry cash. Morgan, who didn’t want anything to do with the job, is unhappy that he should have to pay half the bill. Rees leaves the pub before Morgan. He’s parked at the front of the building. THIS ARICLE is the first instalment of an investigation that started more than a decade ago. If you feel articles like An Axe To Grind should see the light of day, you can make either a one-off gift or make a commitment to a small monthly donation. When Morgan walks to the car-park, a man attacks the father of two with an axe. The attack is so ferocious that the axe is buried deep in the dead man’s face. More than two decades later five men will be charged in connection with the murder. The prosecution case is that the man who wields the axe is Glenn Vian. The man who acts as look-out is Gary Vian. The Vians are Rees brothers-in-law. He uses them as part-time security guards. Private detective Jonathan Rees is the bait to get Morgan to the pub. The man who drives the getaway car is Jimmy Cook, an occasional employee of Southern Investigations. 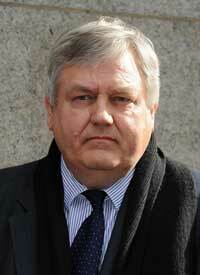 Retired Scotland Yard detective sergeant Sid Fillery is the last of the defendants. 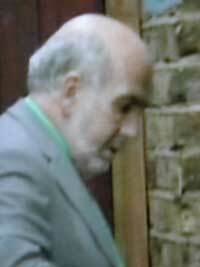 SID FILLERY is one of the key players in the Daniel Morgan scandal. Fillery is a friend of Rees — and one of the first detectives on the case. FOR FOUR days in 1987 the detective sergeant was a key officer in the Morgan murder investigation. He claimed he withdrew when it became clear there was a conflict of interest. His boss, however, said he ordered him off the inquiry when he discovered he was linked to Rees. Fillery was arrested shortly afterwards but released without charge. In 2002 he was convicted of fifteen counts of making indecent images of children. 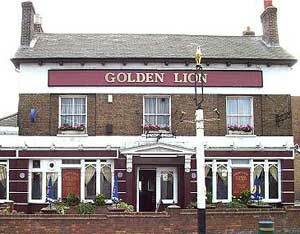 He’s based at Catford Police Station — its patch includes the Golden Lion. For several days he will not tell his bosses that Rees and the dead man were arguing about the car auction robbery. Fillery does not tell his superiors that he and officers from Catford have been moonlighting as security guards for Rees. Or that it was Fillery himself who brought the car auction business and Rees together. Shortly after the murder, Fillery will retire from the police and step into the dead man’s shoes as Jonathan Rees’ new partner. In 2008 all five men will be arrested in connection with the murder. But the case never goes to trial — a series of pre-trial hearings results in the court refusing to admit the evidence of prosecution witnesses. The case finally collapses in March 2011. 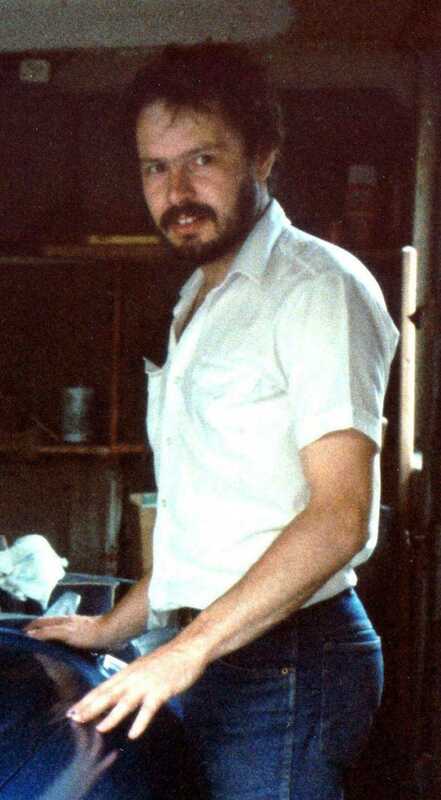 DANIEL MORGAN set up Southern Investigations in 1984. He’d learnt the business working for the Croydon detective agency Madagans. Later he was joined by another private detective, Jonathan Rees. 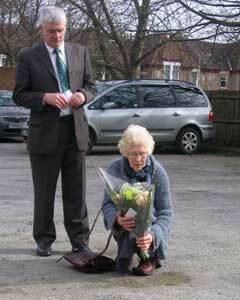 DANIEL’S OLDER brother Alastair and his mother Isobel lay a wreath at the place where he died. But the two men were chalk and cheese. Morgan was a hard-working loner with a reputation as a womaniser. Rees was sociable and liked to spend time in the pub with his mates — many of them policemen. Tensions built up between the two. Daniel saw himself as a grafter and complained he was doing the lion’s share of the work. “I remember him saying to me once — I drove 40,000 miles last year and that guy hangs around in a bar drinking with his CID mates”. “He was upset about it”. Rees liked the company of police detectives — one of his closest friends was Sid Fillery. The two men were freemasons. They often attended an unofficial lunch club at the Croydon Masonic Hall for serving and retired police officers and their friends. It was called “Brothers in Law”. THE YEAR before the murder Rees took a job organising the security for a local firm called Belmont Car Auctions in Charlton. The firm had recently been robbed of £17,000 and wanted better protection at the site. One of the directors was related to a local policeman who introduced him to Fillery. Fillery suggested he get in touch with Rees. Rees recruited police officer friends, including Sid Fillery, to help out during the auctions. He also employed his brothers-in-law Glenn and Gary Vian. One night in March 1986 Rees took £18,000 in takings which he intended to deposit in a Midland Bank nightsafe. He said the nightsafe had been superglued shut and decided to take the money home. He claimed that after he parked his car, he was attacked by two men. Liquid was sprayed in his eyes and the money stolen. One of the detectives who investigated the alleged robbery was detective constable Duncan Hanrahan. Hanrahan — another freemason who attended the “Brothers in Law” club and knew Rees and Fillery — would later be gaoled for corruption. THE DETECTIVE who investigated the robbery said the criminal responsible was the “luckiest mugger in the world”. 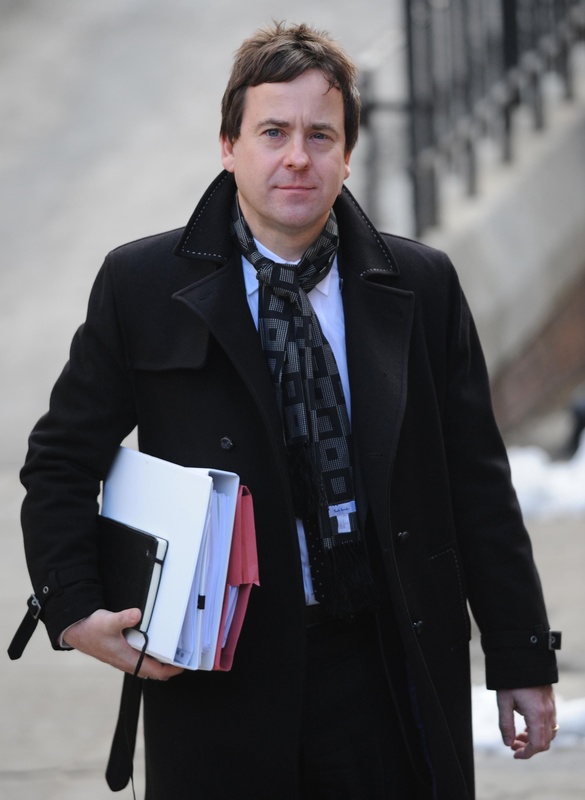 Duncan Hanrahan was later gaoled on corruption charges unrelated to Rees or Fillery. But police inquiries were superficial and the investigation went nowhere. No-one was ever charged for the alleged robbery. Belmont Car Auctions didn’t believe Jonathan Rees’ story — and started legal proceedings to recover its money. He felt Rees should pay the money rather than Southern Investigations. The night before the murder, Morgan, Rees and Fillery met at the Golden Lion to discuss the issue. Off-duty police officers later joined them for a drink. The next night, after meeting former lover and estate agent Margaret Harrison, Daniel again met Rees at the Golden Lion. Rees, who had parked in front of the pub, left first. When Daniel left, he was murdered. TWO DAYS after the murder Alastair Morgan went to Catford Police Station. He wanted to tell them he was convinced the events surrounding the Belmont Car Auction affair were the key to solving the case. The detective he talked to was detective sergeant Sid Fillery. Alastair Morgan had no idea that the police officer was a close friend of Rees. THE PUB in Sydenham where the murder took place. The night before the murder, Daniel Morgan had met with Rees and Fillery. Fillery has always denied this conversation ever took place. In fact, Fillery was the first person to interview Jonathan Rees — he also asked Rees to identify the dead man. Fillery did not tell his superiors that he not only knew about the Belmont Car Auction affair but that he and other officers had been moonlighting for Southern Investigations. 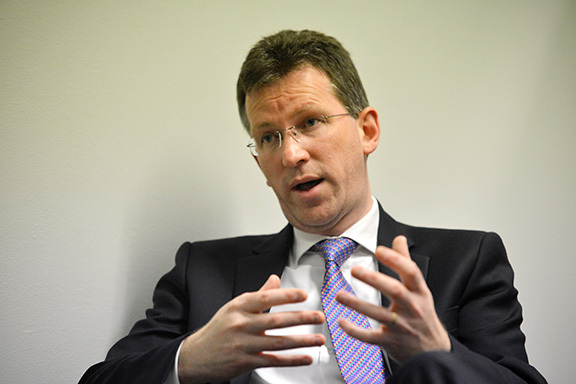 Fillery also visited the offices of Southern Investigations as part of his inquiries. Later, it became clear that several files, including the one on Belmont Car Auctions, were missing. Fillery was on the investigation for four days. The man leading the inquiry, detective superintendent Douglas Campbell, was furious when he discovered Fillery’s connection with Rees. He arrested Fillery and police constables Peter Foley and Alan Purvis who he believed had also moonlighted on the Belmont Car Auctions security operation. He also arrested Jonathan Rees and the Vian brothers. The Metropolitan Police later paid compensation to PCs Foley and Purvis for wrongful arrest. By the time the inquest took place a year later, Sid Fillery had retired on medical grounds. THE INQUEST was to be one of the most explosive in British history. Kevin Lennon, the book-keeper for Southern Investigations, gave sensational evidence. He said Jonathan Rees told him he wanted Daniel Morgan dead. In a later conversation at the Victory pub in Thornton Heath he alleged Jonathan Rees told him he’d solved the problem. It was Lennon who first revealed the fact that Fillery was now working with Rees. Lennon said that Rees had discussed the murder with his wife Sharon Rees — the sister of the Vian brothers. She sent the coroner a note to say she wasn’t mentally fit to give evidence. The next day she was photographed out shopping by the Daily Mirror. THE MAN in charge of the murder investigation also gave evidence. 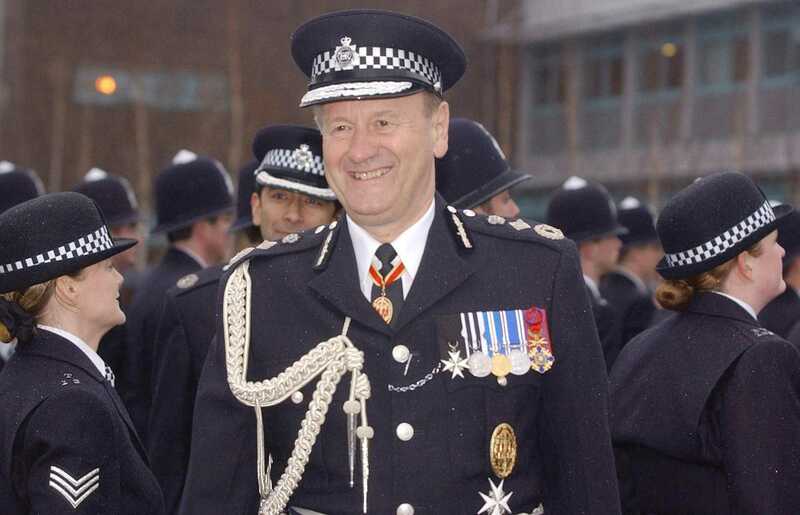 Detective superintendent Douglas Campbell accepted Fillery’s actions in the days after the murder had seriously undermined the inquiry. 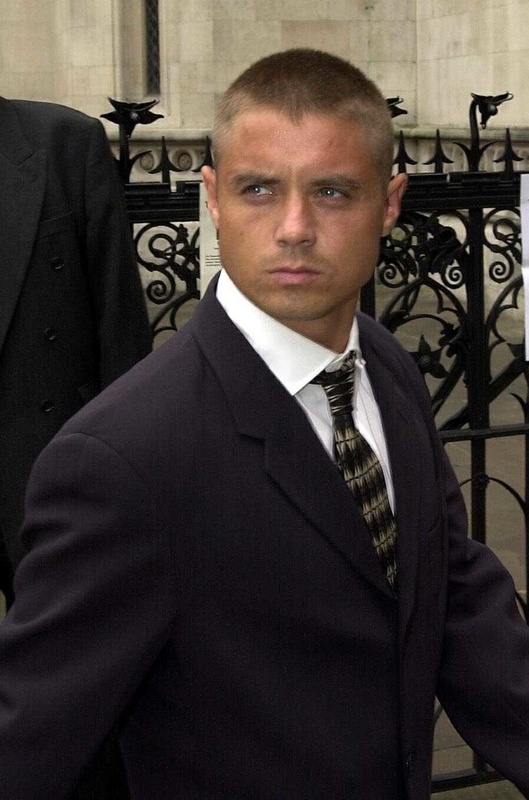 He also told the inquest that Daniel had been talking about blowing the whistle on police corruption in south London. Campbell didn’t reveal the name of the newspaper that Morgan went to. Now retired, he’s always declined to be interviewed about the murder investigation. 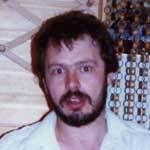 In fact, the evidence now points to the fact that Daniel Morgan may have approached several papers. A former private eye who knew the murdered man says he told him he was going to see a reporter on the News of the World. That reporter was Alex Marunchak and that the story was about police corruption. The figure discussed was £40,000 — an enormous sum of money in those days. 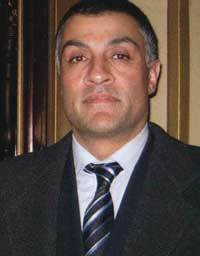 A KEY editorial figure on the News of the World, the Ukrainian-born crime reporter had strong links with the Met. At the time of the inquest he was also working as a part-time translator for Scotland Yard. Marunchak insists he never met the murdered man. The inquest also heard from Margaret Harrison – the woman Daniel Morgan met the night of the murder. She had received more than 60 phone calls from Jonathan Rees in the months leading up to the killing. She denied she was having an affair with Rees at the time Daniel Morgan was killed. Later she and Rees shared a house in south London. They are still together, co-owners of a property in Weybridge, Surrey. The inquest jury returned a verdict of unlawful killing. Alastair Morgan and his family were stunned when the police took no action after the inquest. They began a long campaign to bring Daniel’s murderers to book. There have been recent developments in this affair — see http://wp.me/P3kXx7-8K for more details. This article draws on material provided by the Morgan family as well as by other journalists, especially Nick Davies of the Guardian. Former BBC journalist Graeme McLagan devoted a detailed chapter on the murder as early as 2003 in his book Bent Coppers. It also featured in Laurie Flynn & Michael Gillard’s The Untouchables. Several books on the phone hacking scandal have highlighted the key role the murder plays in the saga: Nick Davies’ Hack Attack, Tom Watson MP & Martin Hickman’s Dial M For Murdoch and Peter Jukes’ The Fall Of The House Of Murdoch. 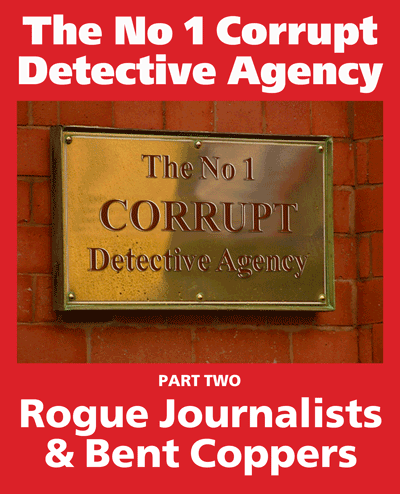 THE NO 1 Corrupt Detective Agency continues with Rogue Journalists and Bent Coppers. Southern Investigations became the heart of a web of illegal news-gathering with Rupert Murdoch’s News of the World one of its most valuable clients.